A well-designed landscape can be inspiring. It can provide a sense of calm, a sense of awe and a sense of balance. A beautiful landscape can also improve the curb appeal of your home. Landscaping and gardening are also ideal outlets for your creativity. It is important to keep a few design elements in mind when planning your new landscape – unity, balance, simplicity, variety, focus and emphasis. Water features are once again very popular this year as it is creates a dramatic focal point, add ambiance and really transform your outdoor space into a tranquil environment. Whether it is a pond or a moving water feature, the sky is the limit! Many water feature kits are available to purchase and simple to install; and with your choice of lighting colours it is no wonder that homeowners are going crazy for waterfall kits in 2013! 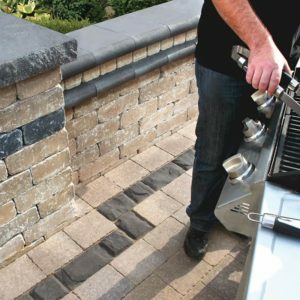 Borders play a big role when it comes to great interlocking stone projects. The usage of dark distinctive borders helps define and highlight your landscape and is a prominent trend this season. This can be the difference between a mediocre and a fabulous design. Lines are a powerful design element that define rooms and connect people to the landscape. The days of swooping lines and circles are considered out-dated; and a minimalist approach using clean lines and simple patterns are currently hot at the moment. Although not new to landscaping, simple patterns and a ‘less-is-more’ attitude can create a much bigger impact. 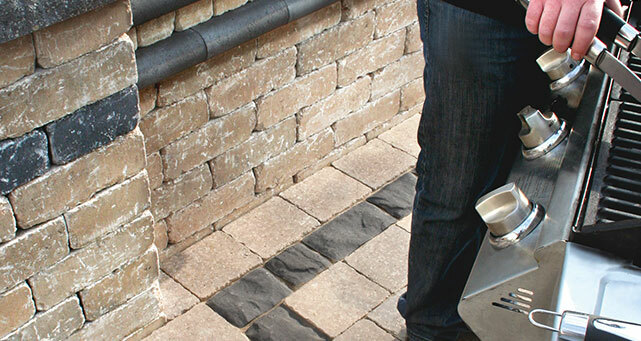 When it comes to interlocking pavers there is an array of textures and designs to choose from. 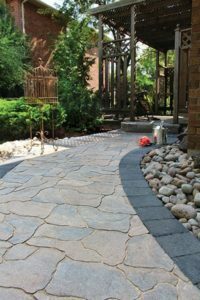 When creating a driveway, walkway or backyard patio consider changing up patterns with different textures as it can highlight key aspects of your area such as borders, accents, trees and flower beds. 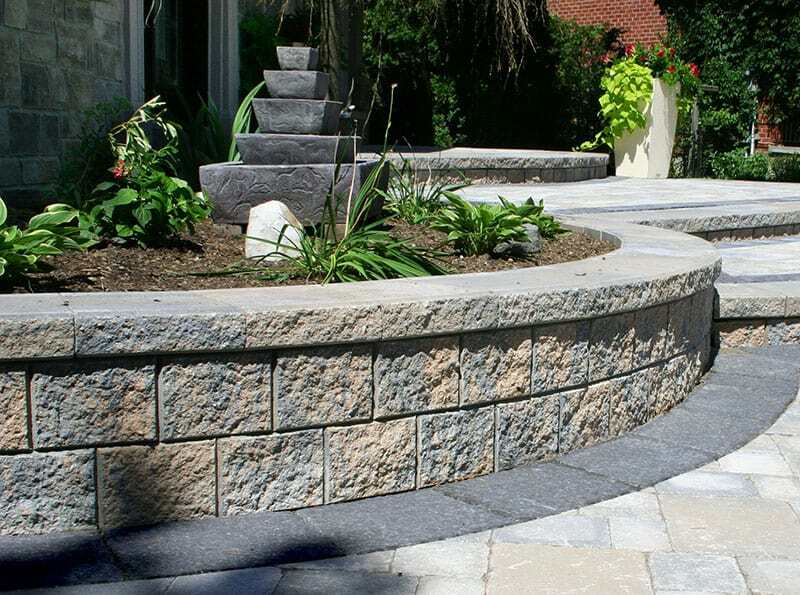 Breaking up a landscape with natural stone is great way to create the perfect balance in any yard. It is important to not over use any one type of material as this could lead to monotony. A yard that is purely concrete becomes over bearing and dry, and by incorporating natural stone in a variety of shapes and sizes, such as boulders and rock, to the landscape helps creates contrast and interest. 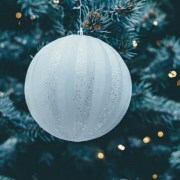 Outdoor Holiday Gifts For Everyone!